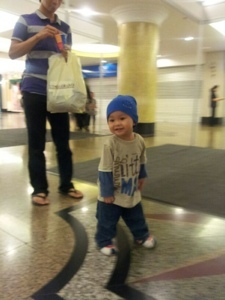 Yeap, Baby Iqbal can walks around aimlessly now (or not! 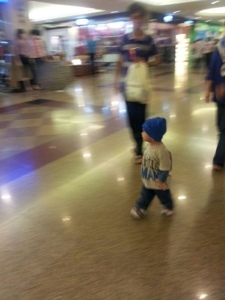 Haha) Alhamdulillah.. :D My mom told me that I only started to walk after I turned 15 months. That means Baby Iqbal is quicker than me! Not sure about Dear Husband though. Anyway, YEYYY! Although it means we will be chasing him around more often now. Lol!